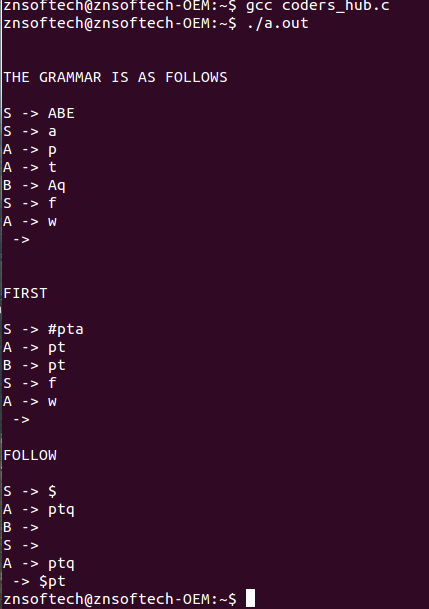 C program to find First and Follow in a given Grammar. Did This Peice Of Code Worked For You? Gives a Runtime Error For me..!! 1. create a text file and rename it as "text5.txt"
or any name but if you change the name of text file also do changes in code.